Football is one of the most thrilling games. In 90 minutes of a power-packed game of soccer, the audience goes through varied motions as they witness their favourite teams and players do something unexpected in this ever so unpredictable sport. But, these days, the thrill of the game and performances of the players are not the only reason for the popularity of soccer. The footballers today bring a glamour quotient to the sport, and this glam factor increases the number of viewers. Players, in the past couple of decades, have shown their efforts to make themselves as attractive as possible, what with their chiseled physique as a result of regular exercises, or their well-thought and creative hairstyles. They know how to maintain the hotness, both on the field and off it, too. If they are endowed with a good face and height, there is absolutely nothing like it. Indeed, there are several players who are extremely hot and handsome. So let us consider the Top 10 Hottest Soccer Players 2015. Born as Cristiano Ronaldo dos Santos Aveiro on February 5, 1985, in Funchal, Madeira in Portugal, Cristiano Ronaldo, 29 years of age, is the captain of the national team of Portugal. He has been a part of this team since 2003. 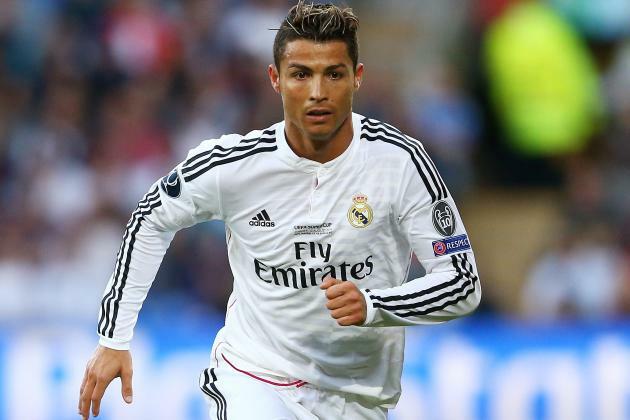 He is also a part of the club called Real Madrid where he has been playing since 2009. Playing as a forward on his teams, his jersey number is 7. In the 176 matches that he has played for Real Madrid, he has succeeded in recording a total of 197 goals, where as in 118 matches for Portugal, he has achieved a total of 52 goals. Several accolades, including the honors as the ESPY Awards Best International Athlete, 2014, the UEFA Best Player in Europe Award, 2013–14 and the LFP Best Player, 2013–14, have been conferred upon him. 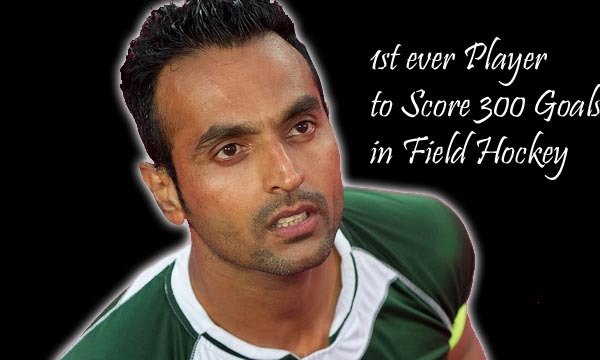 He is endowed with a height of 1.85 meters, and is considered one of the best-looking men in the world of sports. 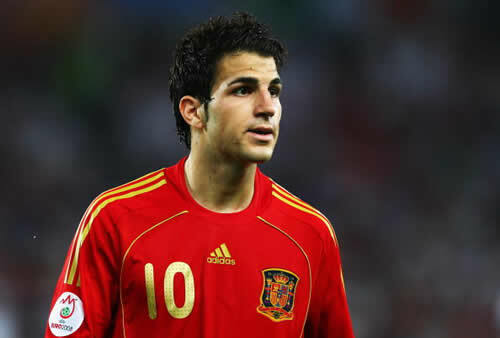 Born as Francesc Fàbregas Soler on May 4, 1987, in Arenys de Mar in Spain, Cesc Fàbregas, 27 years of age, is a player of the national team of Spain. He has been a part of this team since 2006. He is also a part of the club called Chelsea where he has been playing since 2014. Playing as a midfielder on his teams, his jersey number is 4. In the 9 matches that he has played for Chelsea, he has succeeded in recording a total of 1 goal, where as in 94 matches for Spain, he has achieved a total of 13 goals. Several accolades, including the honors as the PFA Young Player of the Year, 2007–08, the UEFA Euro Team of the Tournament, 2012, and the FIFA U-17 World Championship Golden Ball, 2003, have been conferred upon him. He is endowed with a height of 1.75 meters, and is considered one of the most handsome footballers. 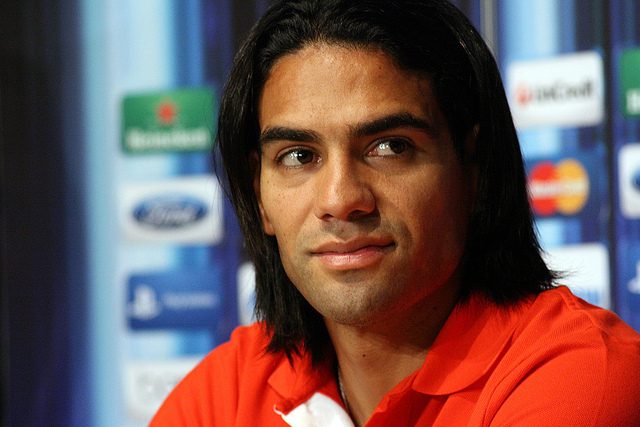 Born as Radamel Falcao García Zárate on February 10, 1986, in Santa Marta in Colombia, Radamel Falcao, 28 years of age, is a player of the national team of Columbia. He has been a part of this team since 2007. He is also a part of the club called Manchester United where he has been playing since 2014 on a loan from AS Monaco. Playing as a striker on his teams, his jersey number is 9. In the 4 matches that he has played for Manchester United, he has succeeded in recording a total of 1 goal, where as in 54 matches for Spain, he has achieved a total of 21 goals. Several accolades, including the honors as the GQ Spain Sports man of the year in 2012, the Globe Best Footballer, 2012, and the Onze de Bronze in 2012, have been conferred upon him. He is endowed with a height of 1.77 meters, and is quite a treat to the eyes. Born as Gerard Piqué i Bernabeu on February 2, 1987, in Barcelona in Spain, Gerard Pique, 27 years of age, is a player of the national team of Spain. He has been a part of this team since 2009. He is also a part of the club called Barcelona where he has been playing since 2008. Playing as a centre-back on his teams, his jersey number is 3. In the 170 matches that he has played for Barcelona, he has succeeded in recording a total of 12 goals, where as in 65 matches for Spain, he has achieved a total of 4 goals. Several accolades, including the honors as the UEFA Euro Team of the Tournament, 2012, the La Liga Breakthrough Player of the Year, 2009, and the La Liga Best Defender, 2010, have been conferred upon him. He is endowed with a height of 1.92 meters, and is a handsome hunk who adds glamour to football. Born as David Villa Sánchez on December 3, 1981, in Langreo in Spain, David Villa, 32 years of age, is a player of the national team of Spain. He has been a part of this team since 2005. He is also a part of the club called New York City where he has been playing since 2014. Playing as a striker on his teams, his jersey number is 9. He played for Melbourne City on loan from New York City, and in the 4 matches that he has played for Melbourne City, he has succeeded in recording a total of 2 goals, and has not recorded any goal for New York City, where as in 97 matches for Spain, he has achieved a total of 59 goals. Several accolades, including the honors as the 2010 FIFA World Cup Silver Shoe, the 2010 FIFA World Cup Bronze Ball and the USSA Male Athlete of the Year, 2010, have been conferred upon him. He is endowed with a height of 1.75 meters, and is quite a looker as he takes on the field. Born as Steven George Gerrard on May 30, 1980, in Whiston, Merseyside in England, Steven Gerrard, 34 years of age, is a player of the national team of England. He has been a part of this team since 2000. He is also a part of the club called Liverpool where he has been playing since 1998. Playing as a mid-fielder on his teams, his jersey number is 8. 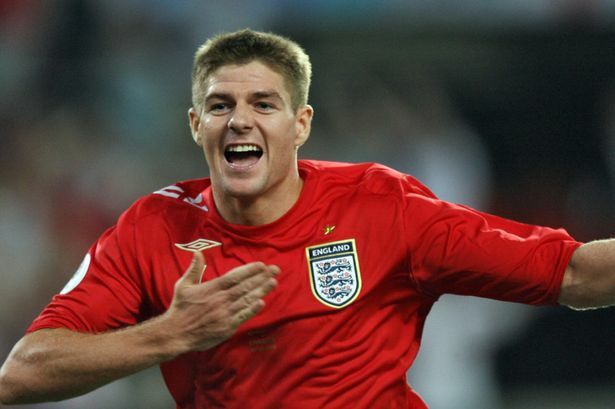 In the 483 matches that he has played for Liverpool, he has succeeded in recording a total of 21 goals, where as in 114 matches for England, he has achieved a total of 21 goals. Several accolades, including the honors as the IFFHS World’s Most Popular Footballer, 2006, the Member of the Order of the British Empire, 2007, and the UEFA Club Footballer of the Year, 2005, have been conferred upon him. He is endowed with a height of 1.83 meters, and is quite capable of setting the temperature soaring with his looks. 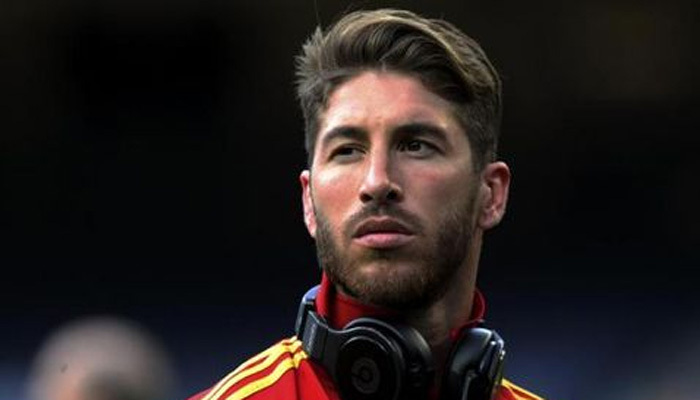 Born as Sergio Ramos García on March 30, 1986, in Camas in Spain, Sergio Ramos, 28 years of age, is a player of the national team of Spain. He has been a part of this team since 2005. He is also a part of the club called Real Madrid where he has been playing since 2005. Playing as a defender on his teams, his jersey number is 4. In the 298 matches that he has played for Real Madrid, he has succeeded in recording a total of 38 goals, where as in 124 matches for Spain, he has achieved a total of 10 goals. Several accolades, including the honors as the La Liga Best Defender, 2014, the La Liga Breakthrough Player of the Year, 2005, and the 2010 FIFA World Cup as Castrol Index Winner, have been conferred upon him. He is endowed with a height of 1.83 meters, and is one of the hottest footballers. 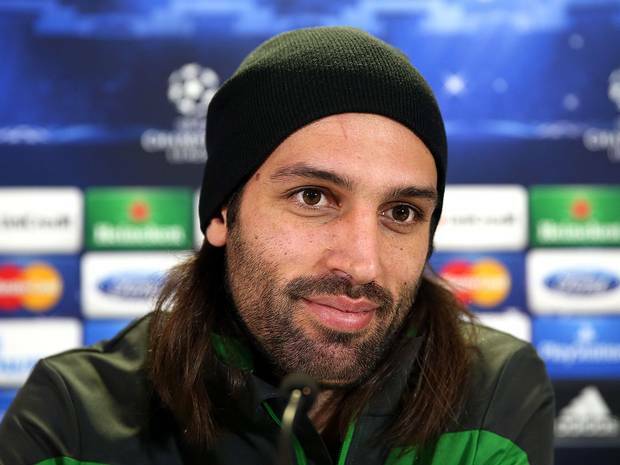 Born on February 21, 1985, in Heraklion in Greece, Georgios Samaras, 29 years of age, is a player of the national team of Greece. He has been a part of this team since 2006. He is also a part of the club called West Bromwich Albion where he has been playing since 2014. Playing as a left winger/striker on his teams, his jersey number is 30. In the 4 matches that he has played for West Bromwich Albion, he has succeeded in recording a total of 0 goals, where as in 81 matches for Greece, he has achieved a total of 9 goals. Several accolades, including the honors as the SPL Player of the Month Winner: September 2008, the Winner of Celtic Supporters’ Player of the Year 2013, and the 2014 FIFA World Cup awards Man of the match Greece vs Ivory Coast, have been conferred upon him. He is endowed with a height of 1.92 meters, and is the closest to a Greek God that football fans have seen in recent years. 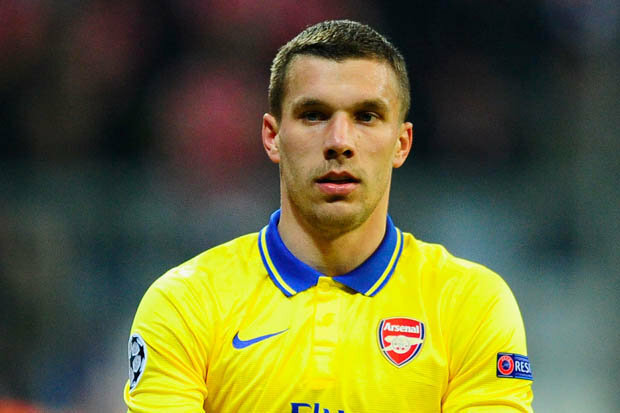 Born as Lukas Josef Podolski on June 4, 1985, in Gliwice in Poland, Lukas Podolski, 29 years of age, is a player of the national team of Germany. He has been a part of this team since 2004. He is also a part of the club called Arsenal where he has been playing since 2012. Playing as a forward on his teams, his jersey number is 9. In the 57 matches that he has played for Arsenal, he has succeeded in recording a total of 19 goals, where as in 121 matches for Germany, he has achieved a total of 47 goals. Several accolades, including the honors as the UEFA Euro 2008 Silver Boot, the Silbernes Lorbeerblatt, 2010, and the Second Bundesliga top goal scorer, 2005, have been conferred upon him. He is endowed with a height of 1.82 meters, and is one player to feast the eyes upon. 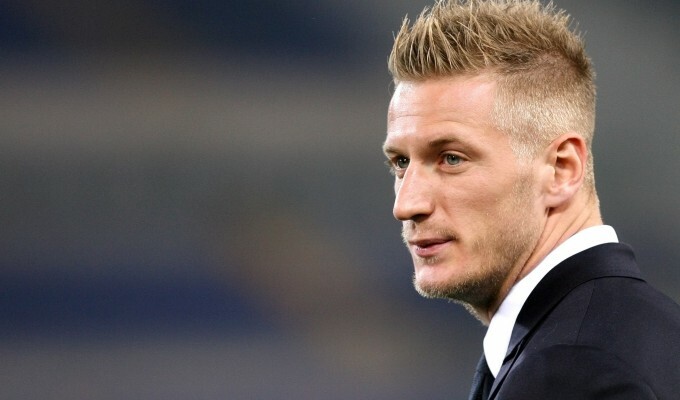 Born on November 12, 1986, in Sant’Agata de’ Goti in Italy, Ignazio Abate, 28 years of age, is a player of the national team of Italy. He has been a part of this team since 2011. He is also a part of the club called Milan where he has been playing since 2003. Playing as a right back on his teams, his jersey number is 20. In the 144 matches that he has played for Milan, he has succeeded in recording a total of 1 goal, where as in 21 matches for Italy, he has achieved a total of 1 goal. Although he has not yet been successful in prestigious honors and accolades himself, he is considered a valuable addition to whichever team he plays for and is likely to find a place among award-winning soccer players. He is endowed with a height of 1.80 meters, and he really makes quite a contribution in heightening the glamour of football. The male soccer players are given as much importance for their appearance as the female players, because the maintaining good looks has become important for everyone, nowadays. They are roped in for various endorsements, shows and events, and they happily oblige, all suited up, of if required, showing of their muscular bodies. They get engaged in several off-field activities, and media focus on their good looks. They are often given more value for their appearance than for their contribution to the game, and many good players go unnoticed because they are not that handsome. As the focus shifts to a superficial factor, it is the sport that is likely to suffer, with distracted players and judgmental audience members.